T he retail industry is facing the greatest amount of development and redevelopment activity since 2010. 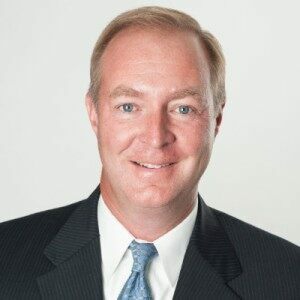 To meet the increased demand for retail project management and development expertise, JLL today announced the expansion of its retail team with the addition of Bill Moston. Moston joins JLL as a Senior Vice President, National Retail Development and brings nearly 30 years of experience to JLL, and will be based out of the firm’s Chicago office. In his new role, Moston will be responsible for advising JLL’s clients and executing on ground-up projects, redevelopments and renovations across the United States, as well as managing anchor store negotiations and tenant coordination. “Adding Bill to our development team will allow JLL to better advise its clients seeking to update or create new retail space. His experience counseling and partnering with owners and investors on how to best align projects with market demand and retailer requirements, will provide a huge advantage to JLL’s clients,” Larry Jensen, Senior Director of Retail Development at JLL. JLL research indicates that nearly 50 million square feet of retail spaces was delivered in 2014, with general retail space, including the construction of urban storefronts, driving the development market. The uptick in mall construction has also grown significantly, with total U.S. mall deliveries in 2014 rising nearly 43 percent year-over-year.